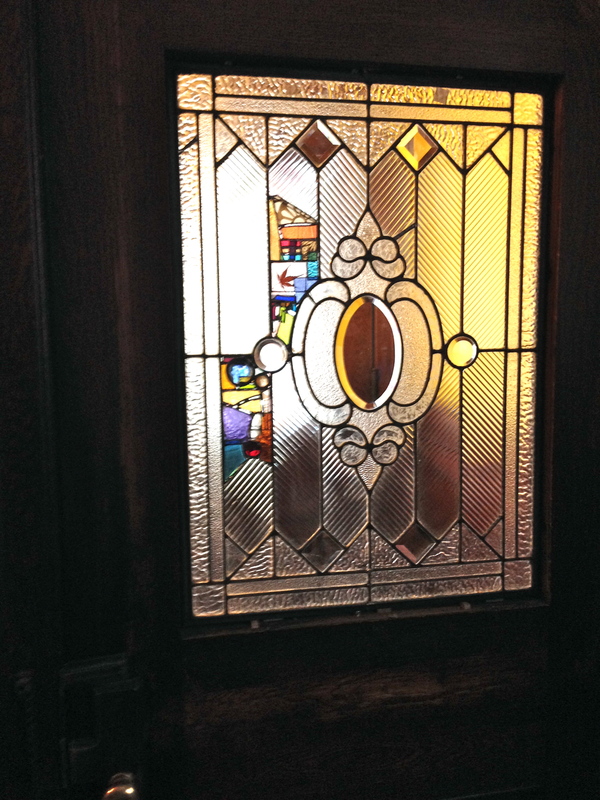 We have a very nice suite of leaded glass window panels in our home. 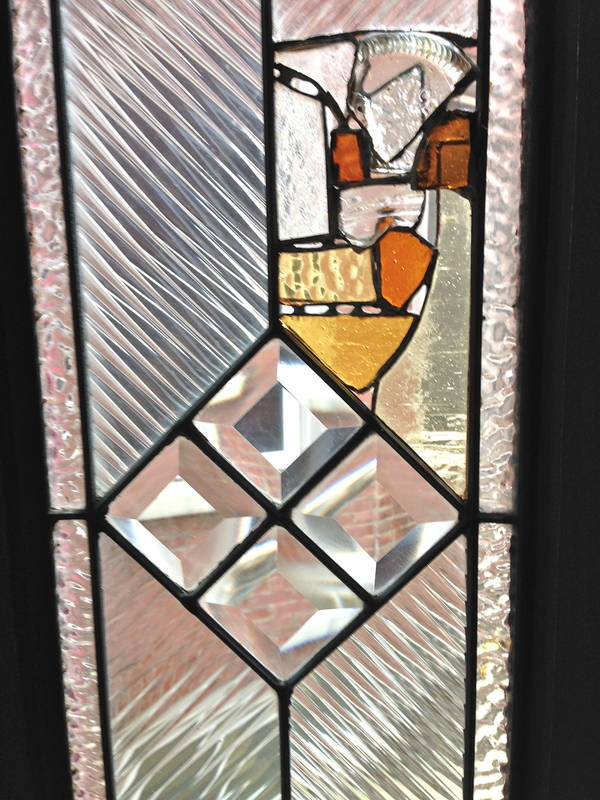 They are production glass from 1905, not colored, and very common in our Victorian neighborhood. They came with the house, so are certainly nice to have with us! There was a sad story though: each panel had been damaged over the years, and there was deterioration in the zinc came. The missing glass is not currently available, so a linear reconstruction of the windows was not possible. Also, given the location of the damaged sections (in the middle of the panels), there would be a ton of work taking them apart, and trying to get them back together. The outcome is always up for grabs. 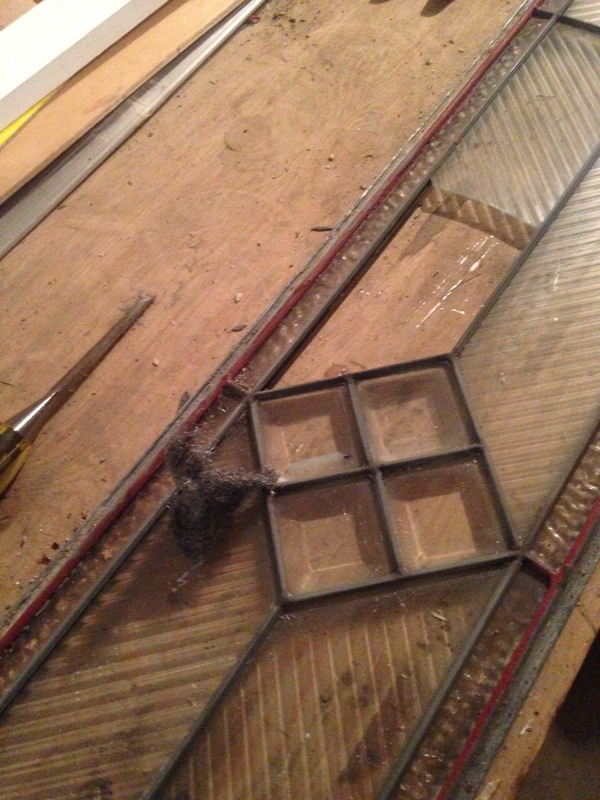 So, I developed Plan B.
I took each panel out of its frame, cleaned the glass, and mended the solder joints in the zinc matrix. 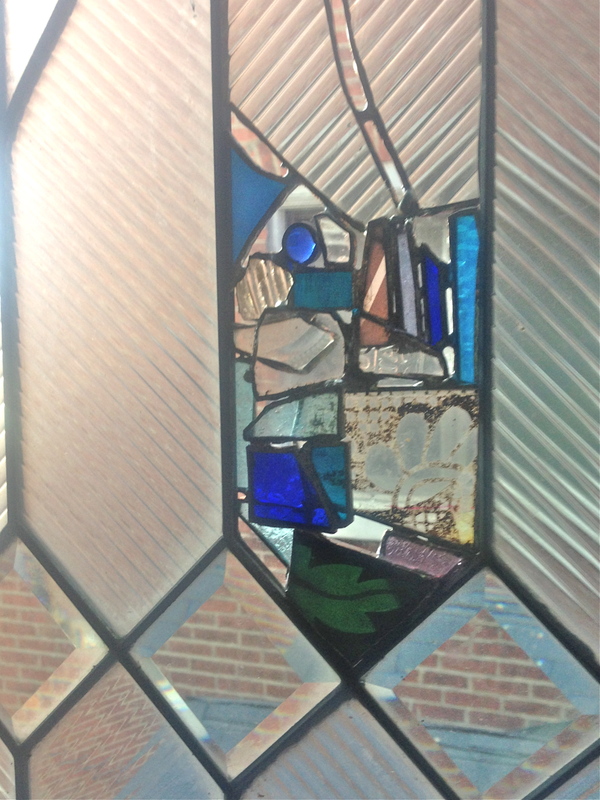 Working with new and antique glass, I filled in the damaged sections, and stabilized the remaining glass. I backed the leaded glass with insulated glass panels, which reduced the airflow in the living room, and provided additional structure. It was actually quite a bit of work, but all seems worthwhile now that the glass is back in place. It will be strong and lovely for many years to come!